With the facination of being able to touch things to get them to work, e.g., iPhone, or your grocerie store touch screen checkout, there is a new innovation that will allow DJ’s to just touch also. The Attigo TT is a touch screen turntable that allows DJ’s to loop, sample, and scratch waveforms just like you would do vinyl. It is the same size as a regular TT. I am not to hyped about this myself. 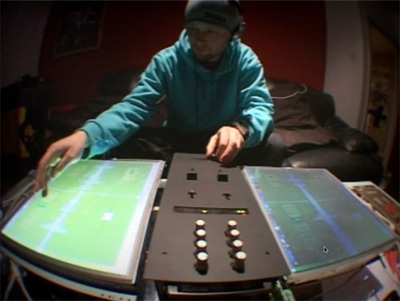 I’m a turntablist/vinyl DJ who uses serato now and I can’t see myself converting my setup to something like this. I’ll save this for next generation. Holla!! !